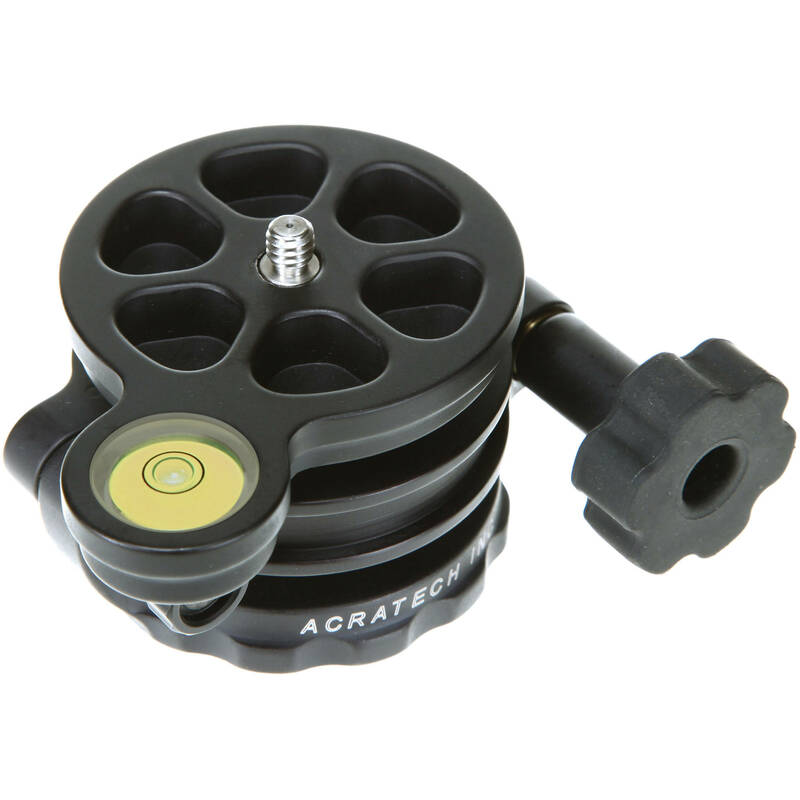 The Acratech Leveling Base is a suitable accessory for anyone looking to augment their camera support with 10° of movement in any direction with a bubble level to ensure horizontal alignment. This base is quite useful for creating even panoramic images with multiple images. 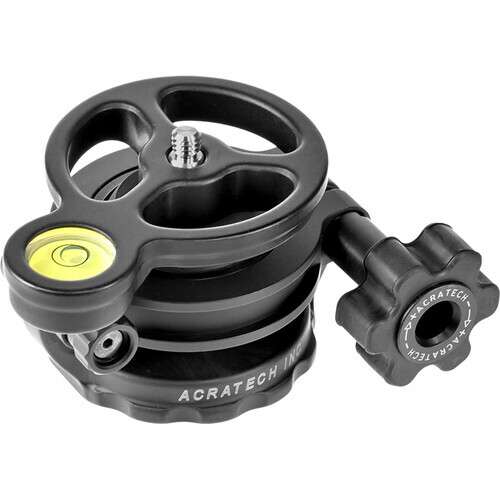 Box Dimensions (LxWxH) 4.7 x 4.4 x 3.4"
Leveling Base for Tripods with 1/4"-20 Thread Head Mount is rated 4.3 out of 5 by 3. Rated 5 out of 5 by Guy H. from Absolutely necessary for panoramas I keep this on the tripod all the time simply to start from aq level position. It is very helpful for panoramas. Once the camera is leveled, can the camera be panned for the purpose of creating a panorama? The leveling base is meant to be between tripod legs and a tripod head. The tripod head would allow you to pan once you are level.